Photo of the Week Archive. You will find links to the weekly California Connection home page photos here. This archive features an eclectic set of photos with an emphasis on classic cars. Laguna Seca Track Day in my Porsche GT3 - I spend a wonderful day at Laguna Seca in my GT3 having fun and learning humility. Normandy France & D-Day Beaches. Here is a photo tour of Normandy that we took in June 2008. Included are Monet's Gardens, Honfleur, Caen, the D-Day Beaches, and Mont-St-Michel. In January 2008, we attended the Porsche Camp4 Winter Driving Program at Vail, Colorado. It was a first class event with great intructors, fabulous cars, a challenging & fun program, and outstanding "after-hours" food and adult beverages. If you want to spend three days going Sideways, this is it. The annual football game between Oklahoma and Texas is one of college football's greatest traditions. Here is a photo tour of the 2006 weekend starting with the Friday night party, followed by the Texas State Fair, the game, and a sequence of Oklahoma's great running back, Adrian Peterson making a 29 yard run through the Texas defense. I have also included a composite image that shows the Texas fan's anguished reactions to Peterson's run. Little Bighorn Battlefield. Take a photo tour of the famous battlefield where Lt. Col. George Armstrong Custer and elements of his 7th Cavalry died on a hot, dusty afternoon on June 25, 1876. 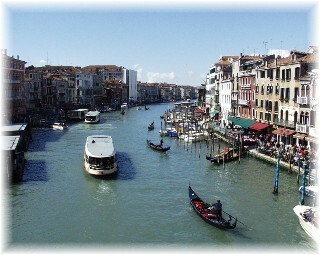 I found Venice Italy to be the most unusual city I have ever visited. Venice is a great place to wander and there are fabulous photo opportunities around every corner. We visited in the spring and found it cool and delightful. I have placed a number of photos in the gallery that capture the charm of this wonderful place from the bustle of the Grand Canal to the quiet of the back streets. These are photos of Pinecrest Lake, California. Pinecrest is located in the Sierra Nevada mountains about 30 miles east of Sonora, California. The photos were taken over a number of years with different digital cameras so the quality varies. The lake is drained each year and filled with the run off from the spring snow melt. 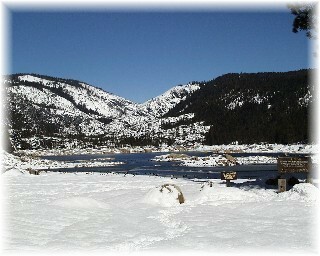 Pinecrest was formed by damming the South Fork of the Stanislaus River. Some of the photos are of the Stanislaus River upstream from the lake.